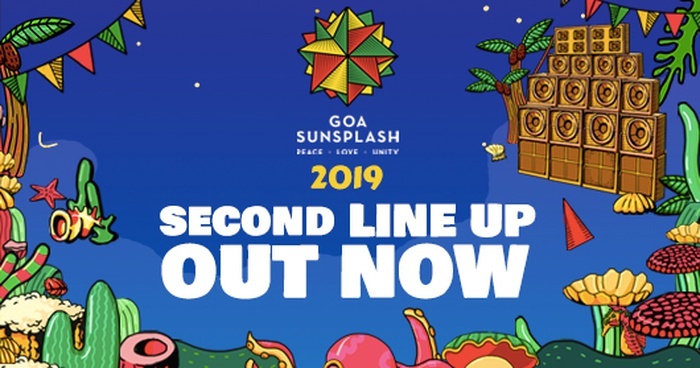 Published on Dec. 4, 2018, 9:16 p.m.
We are thrilled to reveal the second artist lineup for Goa Sunsplash 2019! With musicians from over 20 countries, we're proud to present such a diverse group of artists. Come celebrate peace, love and unity with us! Joining our current list of amazing artist from our the world are: The one of a kind performer from Australia, Dub FX. French reggae artist Tomawok, veteran UK selector Earl Gateshead and many more! Check out our full line up right here! Tickets now available on bookmyshow.